In this course you will learn to the requirements for management of different aquaculture systems. Learn the essentials of aquaculture. 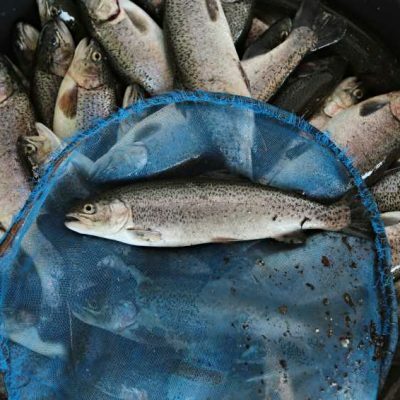 You will learn how to setup an aquaculture system and learn the care and breeding of freshwater fish as well as how to manage an aquaculture enterprise for fresh water fish. Enhance your expertise in this important course. Improve your work prospects in the field by developing your capacity to manage freshwater aquaculture enterprises. This course is fully supported by our Marine / Aquaculture tutor Peter Palma and covers: water (e.g. source, purity, flow, temperature, dissolved oxygen), stocking rates, spawning, checking stock, stripping, fertilization, hatching, growth stages, feeding, harvesting, stocking and more. Review of diseases … salmonids, barramundi, trout, carp, etc.  Learn about different aquaculture systems.  Learn the requirements of a range of freshwater fish and crayfish.  Learn to manage freshwater feeding and harvesting.